The multimillion-selling franchise takes a giant leap forward for 2018, with the ultimate farming simulation returning this year with a complete overhaul of its graphics engine, offering the most striking and immersive visuals and effects, along with the deepest and most complete farming experience ever on console. Manage your own farm in three distinct open worlds filled with details for landscapes more realistic than ever before, in which to develop and expand your farm in solo or with friends. Tend to your land by using and driving an array of faithfully reproduced farming vehicles and tools from the most famous manufacturers. With the addition of new brands, Farming Simulator 19's garage will be the franchise's most extensive vehicles roster ever. In Farming Simulator 19, there are more opportunities for farmers than ever before! In a first for the series, horses can join your farm, as well as the well-loved cows, sheep, pigs and chickens. Grow and harvest two new crops, soon to be announced, with dedicated vehicles and equipment, for even more diverse gameplay and adding to the already available corn, wheat, canola, sunflowers, soy beans, sugarcanes, and many more. Buy new land to diversify your activities, and sell your products to expand further. Transport your goods with trucks and trailers, or load and drive trains to reach your destination. 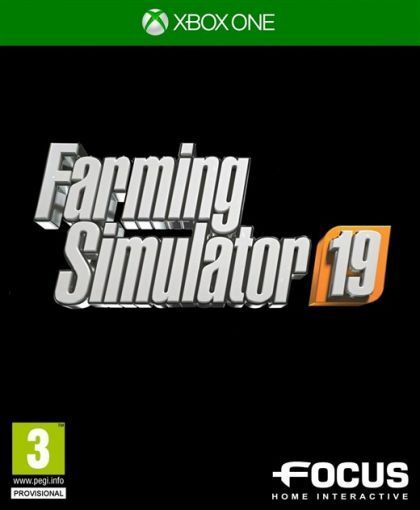 Farming Simulator 19 offers a bigger and better simulation experience than ever before, with the possibility to customize your farmer character, a redesigned mission system to better welcome new players, reworked AI for the workers, and many more improvements. Join other farmers online in the co-op mode, with up to 6 players! Improve and grow your Farming Simulator experience even further with the incredible range of community-created mods!